If you’ve spent any time browsing the For Sale section on Craigslist, you are well aware of the kooky vibe that permeates. That’s part of the charm, after all! Now imagine that you’ve found a fantastic sale: an entire house’s goods up for grabs. You respond to the posting, and, in addition to details on some killer bargains, the email response includes a hateful paragraph announcing that gays, Muslims, terrorists, and illegal immigrants are not welcomed to the sale! i have been a bit overwhelmed by the response, so have devised an easier way to disseminate information and pix of the items for sale for all of you who have contacted me. i’ve set up a publicly accessible facebook photo album for items for sale. please post any questions you have on the facebook page, this way you will also know if someone else has already expressed interest in an item and at what price or if the item is sold, as i will mark it so. additionally, there will be a garage sale this sunday, 17 july 2011 from 11am – 7pm, for the items already pictured in the album and more. photos will continue to be added via the mobile pix facebook album, so please also check there as internet access has already been disconnected in the home and it’s the only way to upload quickly and easily. all are welcome to the moving sale / garage sale except for LGBT people, illegal immigrants, and muslims, anyone else is warmly welcomed! no drama, terrorism, or illegal transactions with non-US citizens / illegal immigrants / people taking jobs away from people who belong and are legal in this country is desired. thanks. 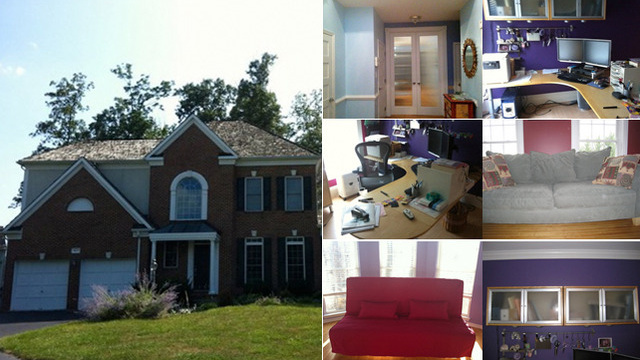 email me on facebook to receive the address of this house which is located in the woodlea manor sub-division in leesburg, virginia – located conveniently off of route 15 south and less than 5 minutes from downtown leesburg. the comments section on the photos is open to everyone on facebook, so please do not reply here and ONLY reply on facebook, i will only respond via the facebook site. i have gay friends, but i don’t need that kind of unknown drama element around me as i know how it can be at times. no thanks. just like i don’t want someone drunk or on drugs at the sale. homosexuality is a sin and i won’t stack up your sin against mine, but i can choose the type of people to whom my belongings will end up with … and what i’m supporting with that action. i cannot support homosexuality bc i feel it robs true soul mates from being with one another. nature / God / whatever one may believe intended one man for one woman. period. jmho. don’t hate me, i tolerate that these things exist … the only thing i have no tolerance for is islam … which, i would hope as a gay man you would also not tolerate (since they think all of you should be killed and i think that is WRONG). Perhaps this is just one big disgusting joke. Or perhaps this woman’s divorce has made her go batsh*t crazy, because now she’s trying to rally the gays against the Muslims. Or maybe she is taking the whole “free country” ideal to the polarizing extreme, where we each get to publicly discriminate against those people that we just don’t like. No matter what the case, this is going down as one astonishingly horrid garage sale!